Conservation South Luangwa (CSL) was founded in 2003 to protect the wildlife and habitats of the South Luangwa ecosystem. Expanding local communities encroach on wild lands and hunt for bushmeat with indiscriminate snares. Meanwhile the international demand for ivory drives armed poachers in search of elephant, with over 70 lost in this area in 2014. Employing almost exclusively local staff, CSL addresses these problems with a focus on anti-poaching patrols, de-snaring and daily aerial surveillance. The 65 community scouts conduct short and long patrols of up to 20 days in the field. Supported by aerial patrols from CSL’s light aircraft, these teams have removed over 10,000 snares and treated over 160 elephants, 25 lions and 20 hyenas for snare wounds. In 2014 CSL started Zambia’s first detection dog unit which can identify ivory, leopard skins, firearms and bushmeat at road blocks, borders and building searches. There is also a conflict mitigation team which works with local communities to reduce crop raiding. The team works with farmers to set up measures including chilli blasting, elephant fences, watch towers and elephant-safe grain stores. 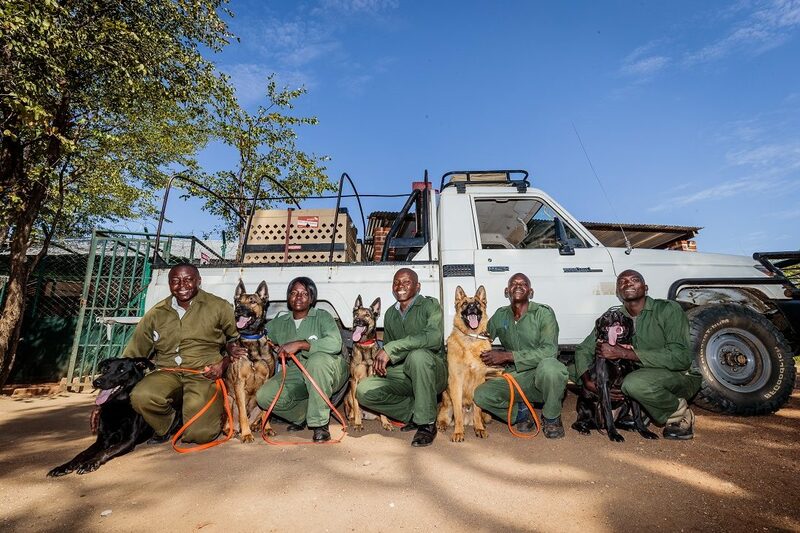 Funding from Tusk has allowed CSL to increase its anti-poaching work, develop the detection dog unit, fund the aerial surveillance and veterinary work, helping to reduce poaching and wildlife trafficking in South Luangwa. South Luangwa continues to face widespread poaching of big game and the never ending challenge of snaring. We must keep supporting the vital work of CSL to hold back the tide and protect this wildlife-rich wilderness.